Thousands of Facebook Messenger users took to Twitter to complain about the app being down. “What do we do without Facebook Messenger?? I think I only have about 3 peoples phone numbers?? ?,” one user wrote. Other users experienced withdrawal symptoms after just ten minutes of outage. According to one tweet, the app kept “leaping in intermittently.” The issue was reported by users across the globe. Facebook has not confirmed the problem or offered a deadline for a fix. downdetector.com said that there was a spike of searches about Facebook Messenger Wednesday around 8 pm. Thousands of reports about the issue have inundated Twitter ever since. Around 34% of users said they couldn’t receive any messages, nearly as many (33%) said the app couldn’t connect to the server, while 31% said they couldn’t log in to the app. downdetector.com has even offered a map with the regions where the most reports occurred. The outage was likely caused by an update; Facebook rolled out a new feature called ‘Polls in Messenger Stories’. The polls can enable users to get instant feedback from friends about a particular topic. Facebook has not identified the new feature as the cause of the outage. 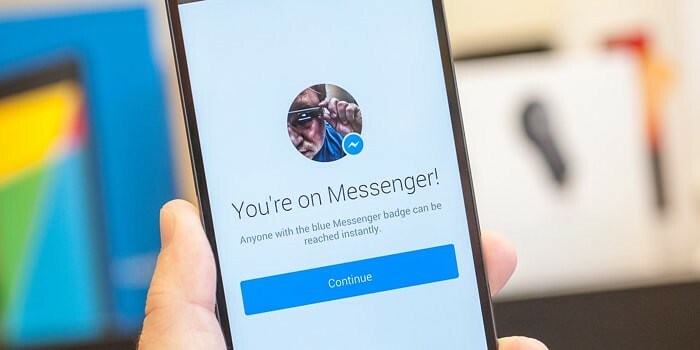 Even though a Facebook official assured Messenger users that the app should be working for everyone soon, two users replied that Messenger was still down in Arkansas and Illinois. Meanwhile, another Facebook-owned messaging app, WhatsApp, barred millions of Britons from using the app because of a new set of EU privacy laws. WhatsApp will not be accessible to users that are under 16. The minimum age for using WhatsApp before the General Data Protection Regulation (GDPR) came into force was 13. EU now wants extra security measures to ensure that the personal data of children is properly processed.